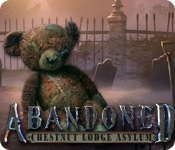 Abandoned: Chestnut Lodge Asylum is rated 3.7 out of 5 by 203. Rated 5 out of 5 by SYLPHEERA from An older HO game, but a classic!!! I finished this one recently, even though I bought it years ago from a store (CD-ROM! )....so yeah, it's been sitting there for a while. I was pleasantly surprised with how good it was. I guess it's just in a genre of HO games I prefer... y' know? the older style ones with colonial style buildings, creepy and dark but without too much of the fantasy element.... The graphics and music give this game a real 'atmosphere' that I like. Rated 5 out of 5 by Reau from Excellent Creep Factor! More like this, please! The creepier, the better! 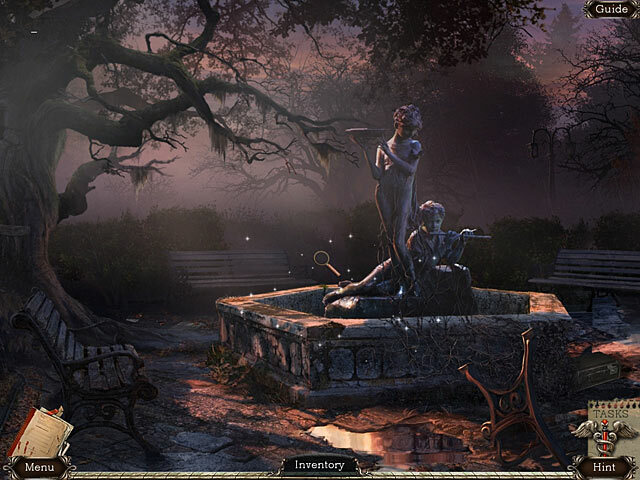 The hidden object mini-games actually had some challenge to them. I thought they were very well done. My only complaint is that toward the end of the game especially, there was a lot of running around to do. It can get a little tedious. That being said, the game was a lot of fun and had an interesting story to tell. Love, love, loved the eerie, grim ambiance of the game. I didn't see one wizard or princess! Yay! Rated 5 out of 5 by cupid59 from Great Game Played trial game and was hooked almost immediately. Will buy full game. Scenes a little dark but that is my only gripe. Liked that it had morphs to find. 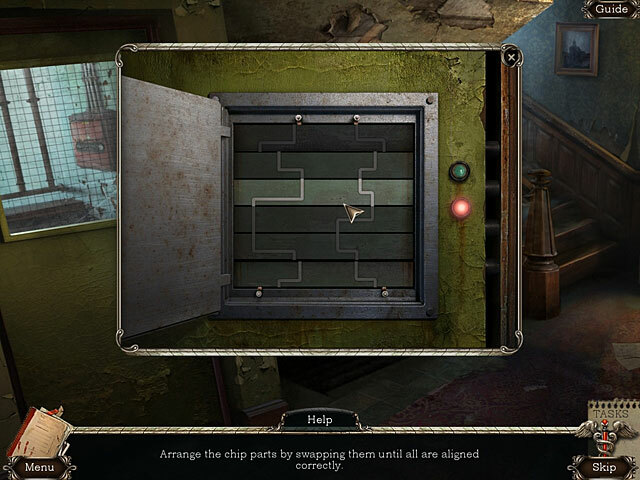 Also wish there were a few more mini puzzles to solve, but overall thoroughly enjoyed. Rated 5 out of 5 by Shannorock11 from Had a blast!! This game was very much like my beloved Ravenhearst games. The sound effects were great, the east of play was on point. The puzzles weren't too challenging, but they were still very fun. Overall, I highly recommend giving this game a try!! I'll probably play it again soon! Rated 5 out of 5 by Caroleonetwo from Fantastic! Loves this game! the story is creepy and design is very nice.I love games in hospital, asylum..I hope there will be a second part. Rated 5 out of 5 by JulzCat from A Dead Body Around Every Corner!!! This is one of the first "Haunted Insane Asylum" games that I ever played, and it STILL holds up as one of the best! Given that it's a few years old, there is no map (and it's a BIG world) and the hints aren't always helpful. Big Fish has an excellent walk-through for this game, which I used several times. The cut-scenes is this game were wonderfully frightening! What I found most interesting was the patient rooms where the poor inmates were "forced" to face their fears. I enjoyed the "explosive" ending as well. Rated 5 out of 5 by smilingsun72 from Captivating! Great mystery! Challenging with no bells and whistles! This game kept me going to the end, and I still wanted more! Excellent story, lots of HOs and variety of puzzles, and great music. The graphics are nice and clear and the cut scenes are placed perfectly. Though there isn't bells and whistles. But for a regular game with no CE you get all the nice stuff: guide, achievements and other stuff. So this game is worth the buy at a SE price. Rated 5 out of 5 by charlene_lane from WOW, WHAT A GAME REVIEW OF COMPLETED GAME This game is on my top 10 list of best games ever. There is: * Casual and Expert modes (you can change any time); * Voiceovers; * Diary; * 6 Achievements; * 22 morphing objects to find; and * Strategy Guide (yes, that is right!). The graphics are dark, dirty and gritty, but very clear to see everywhere. As I entered each scene, I would stop and stare around - very creepy and I never knew what to expect next. Sound is very good. The music is on a continual loop but its nice and plays quietly in the background. 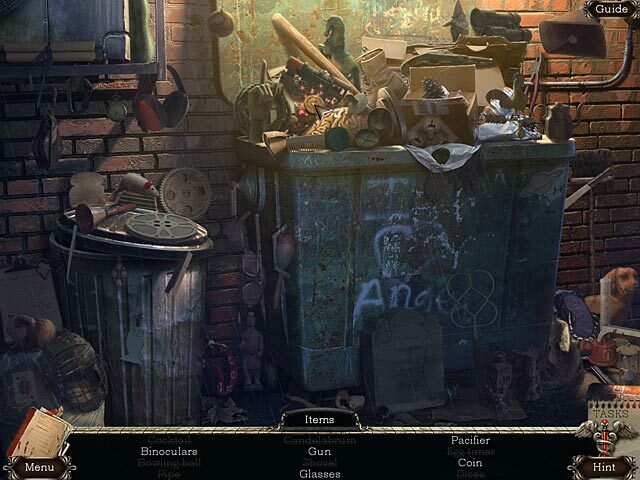 The hidden object games are slightly interactive straightforward and have a good challenge but I didn't have any problem trying to see items. I enjoyed them all. There were a lot of mini-games to play. Some were fairly easy and I got back to playing fairly quickly, and others I spent some time on. There are no frustrating or boring games and I played them all. It helps to read your journal because it will have the answers to a variety of mini-games, etc. Okay, I admit that you will have your running shoes on. There is no interactive map and there are a lot of different locations to go. However, I found it easy to memorise and I never got lost. This is one huge building with a variety of different outside dwellings as well. As you go through the game, make sure you check everywhere. This is one of those games where you never know what or where you will find items of interest. This can save a lot of running around. I only found 15 of the morphing objects. These are challenging to find and your cursor DOES NOT change when you come to one so you really need to keep an eye out - literally! YES, there is a Strategy Guide if you get stuck. I used it a couple of times when I was literally wondering what to do next and I had been everywhere at least twice. You get an achievement if you finish the game under 4 hours. Well, wait for it, I finished the game in 11 hours!!! Well, it is a big game with lots of locations and that's my pitiful excuse. So overall a fantastic game with plenty to do. No boring or cookie cutter game here - this is a classic. Well done devs. Definitely comes recommended - don't let this one pass you by. Happy playing fishies - this is a gem. Rated 5 out of 5 by greenshade from Need More games like this! 2012 seems to have been a very good year for games... as I've been playing some older ones and find them so much more challenging than today's easy, almost no challenge games. For those of us who eagerly await to have a "true fear", this is the one to tackle. LOVE roaming around in old abandoned places? You'll love roaming around this huge abandoned asylum! Miss the days when we had journals that you had to actually read and write down or remember clues rather than have them handed to us on little pieces of paper? This game's for you. Remember when we didn't have transportable maps and had to try to use our brain cells to remember where to go and what to do? yay! this game is for those of us who like this challenge, too. Do you like a good storyline with a twist at the end? ME, too! And once again, appreciated the journal so I could really follow the story. As I said, 2012, even though the HOs were tedious standard word lists the creep and challenging factors more than made up for it. Face your fears and unravel the mystery of the abandoned asylum!